One of Scotland’s oldest licensed inns, steeped in history and seated in one of nation’s most dramatic locations, could be in for a radical facelift. New owners of the 17th century Kings House Hotel, an iconic stopping point for walkers, skiers, tourists and other travellers, have submitted plans for a dramatic reshaping of the iconic facility saying that “only substantial investment will secure its future”. 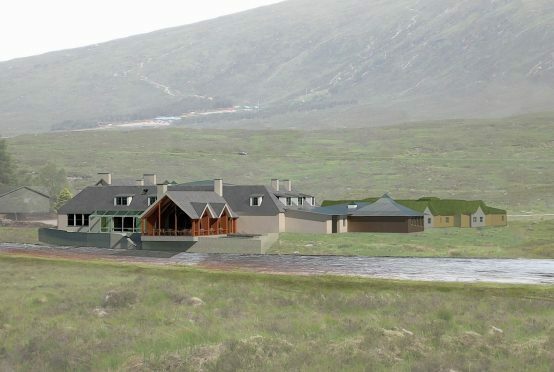 Black Corries Estate is confident the revamp would “restore the place to an attractive, welcoming hotel” and transform it into a “year-round destination”. Speaking on their behalf, Susanna Thomson of managing agents Bidwells said Black Corries was passionate about breathing new life into the hotel to offer accommodation and dining that would meet the demands of a wide range of guests. “The owners are determined to, once again, put the Kings House on the map for all the best reasons,” she said. While much of the place would be significantly altered, the Climbers’ Bar will remain intact. Black Corries hope to have a new hostel open before the summer. It would remain in operation during the development period along with a temporary bar serving food and refreshments. Edinburgh-based architect Benjamin Tindall proposes to keep the historic core of the hotel but remove a 1960’s extension and replace it with a more sympathetically designed wing. A dining room would be built to take advantage of the view of Glencoe and overlooking the River Etive. The number of bedrooms would increase from 45 to 80. The owners also promise a more energy efficient building with improved staff accommodation and better access.